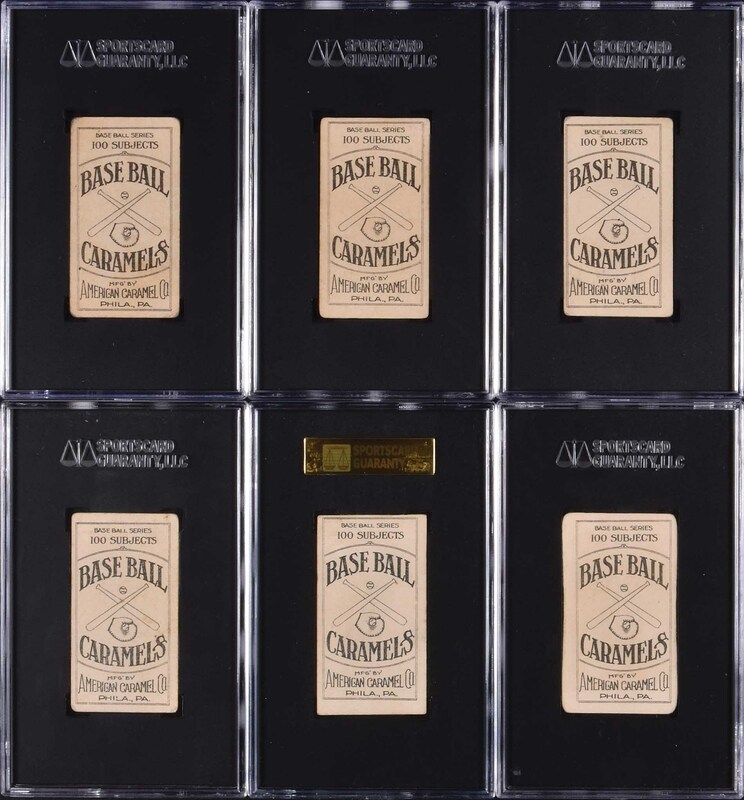 Collection of eight different E90-1 American Caramel cards, including six Hall of Famers and a couple of rarities. 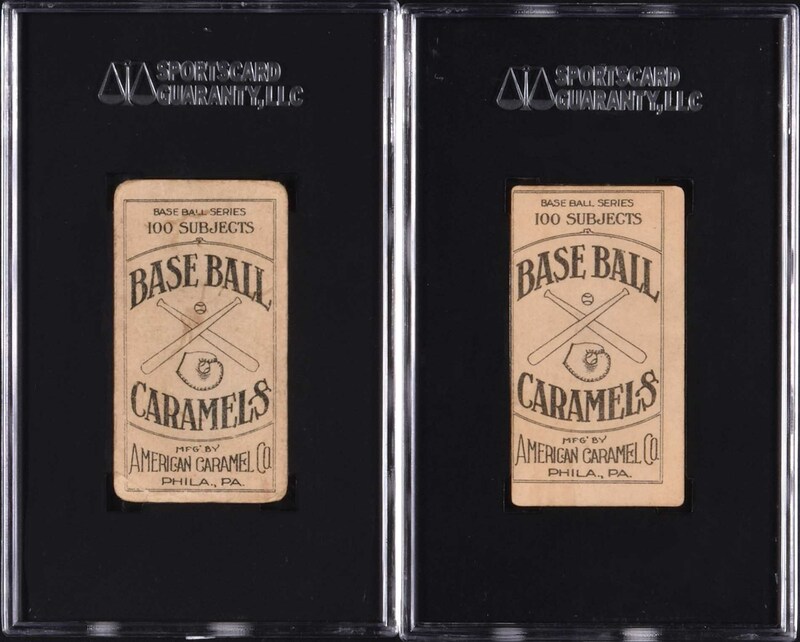 The E90-1 set is the most widely collected of all 1910-era caramel issues and particularly challenging to collect due to the many rarities included in the set. Each card is graded and encapsulated by SGC (three submitted by REA). 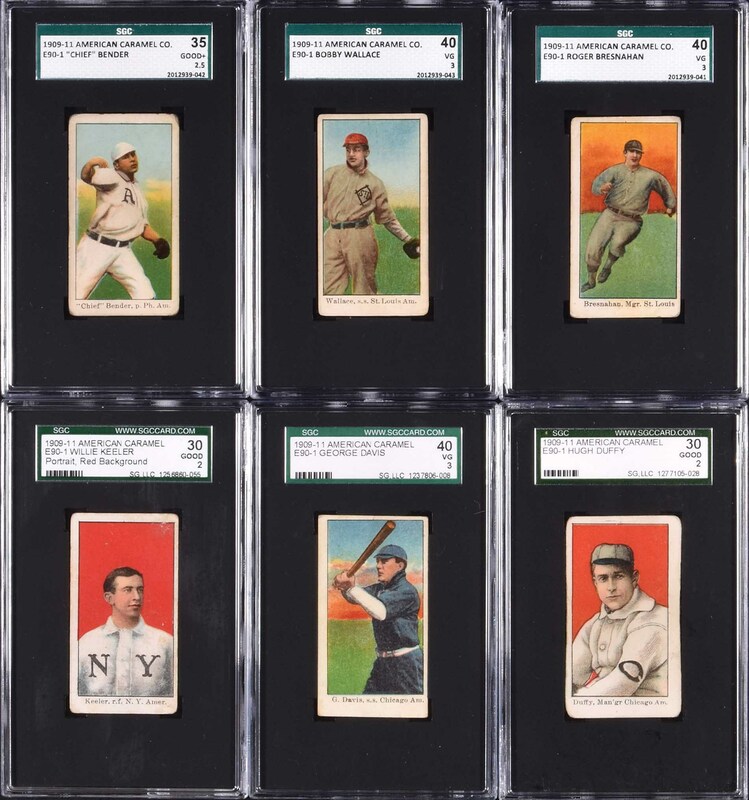 This collection consists of the following: Bender (HOF, GOOD+ 35), Bresnahan (HOF, VG 40), G. Davis (HOF, VG 40), Demmitt (FAIR 20), Duffy (HOF, GOOD 30), Keeler/portrait, red background (HOF, GOOD 30), Overall (VG 40), and Wallace (HOF, VG 40). 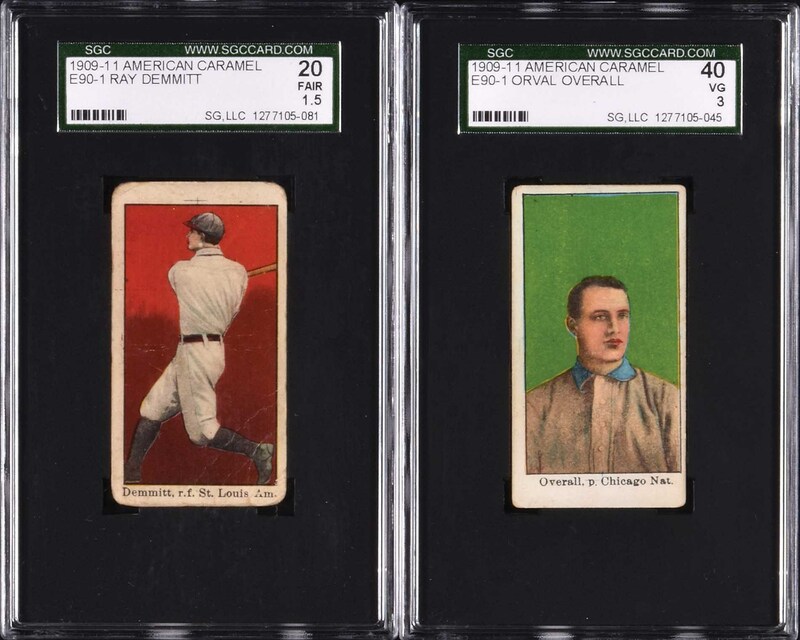 Overall a very consistent and reasonably uniform in grade collection of cards from this popular prewar-card issue. The equivalent SMR value for the assigned grades is $2,025 (factoring the half-grades at the lower whole-grade level). Total: 8 cards. Reserve $300. Estimate $500/1,000+.